Winter, Ski and Sing. Weekendtour 3-4 days. Dalarna in central Sweden offers unique snow adventures with endless white landscapes and Swedish red houses: The beauty of the Swedish winter hits you immediately. Dalarna is closer than you think. And you can also enjoy skiing. Their slopes are covered with a thick layer of snow from November to late March. 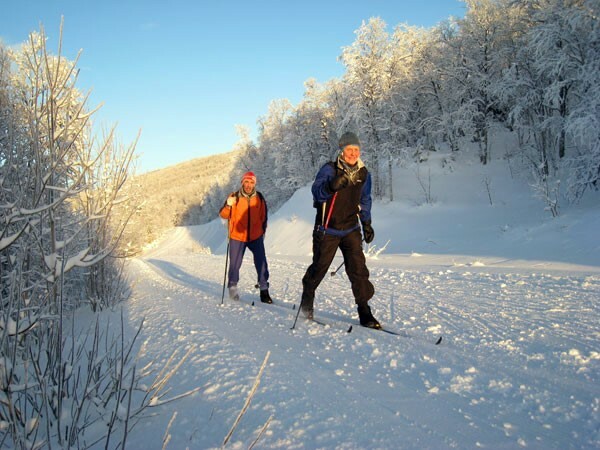 You can go downhill skiing, cross country skiing, or skating. Welcome to Stockholm, the Royal Capital of Sweden. Discover a city like no other - a city built on 14 islands, where you are never far from the water. Well-preserved medieval buildings stand alongside modern architecture. Stockholm is also home of the Nobel Prize. .
Stockholm is a city of contrasts - water and islands, history and innovation, small town and big city, short winter days and long, light summer nights - with a dazzling array of impressions. Thanks to the city's compact size, you can see and do most things in a short space of time. City orientation tour of Stockholm and then check in at the hotel in Stockholm downtown. 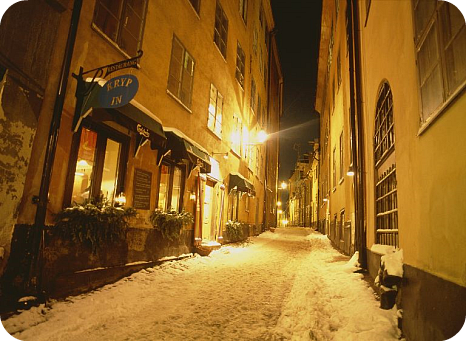 Walking tour of Stockholm‘s historic section Gamla Stan, (Old Town). Go back 750 years in time and feel the medieval atmosphere of the Old Town as you wander through the narrow streets. Visit Vasa museum, Scandinavia's most popular tourist attraction! The warship Vasa was lost on her first voyage in 1628. The preserved ship is today exhibited in her own museum in Stockholm. The Museum was inaugurated in 1990. 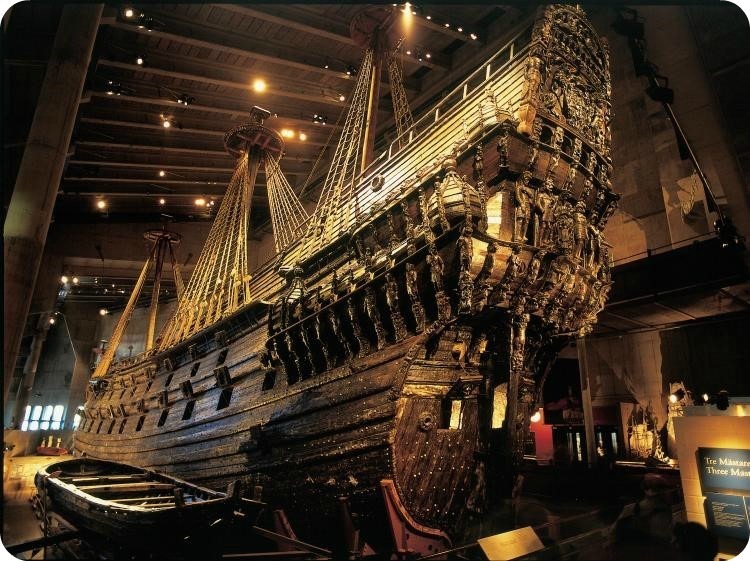 In the large ship hall stands the warship Vasa - the only remaining, intact 17th century ship in the world. The lower rig has been rebuilt, complete with masts, stays and shrouds. Just like the Vasa would have looked like when set for winter in harbor. The wreck, salvaged in 1961, is now once again a complete ship. Evening concert in Stockholm or the surrounding area and welcome dinner. Depart for Rättvik. Your journey will take you to the west side of Sweden. Lunch on your own in Rättvik and hotel check in. SKI DAY (half day) the Rättvik slope. The Rättvik slope, lies in the middle of town. It is the home slope for some well-known skiers. From the top of the slope there are many cross-country tracks which wind round the lovely landscape and there is the wonderful view over Lake Siljan. You can choose tracks of 1 - 2 - 5 - 10 km, etc. For those who would like to try long-distance skating, these skates can be hired together with all the necessary safety equipment. Evening concert at the Rättvik church and dinner as a group. After breakfast SKI DAY at the Rättvik slope. 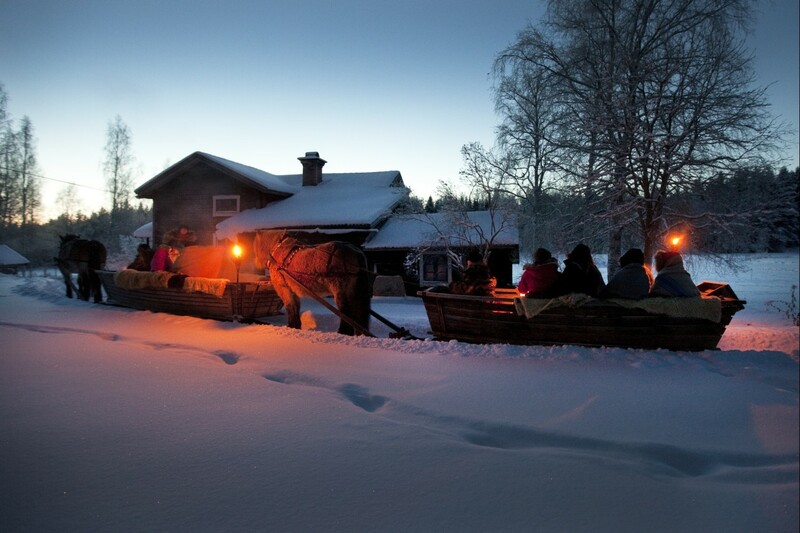 By coach to Falun and visit the famous Falun Copper Mine, which began operations in 1288. "The lift takes visitors down to a depth of 55 metres. Full of expectation, they step out and follow the guide through passages and galleries down to Creutz Schakt, a pit shaft 208 metres deep. Here, it is cold and damp and the only sound is that of dripping water. Looking into the surrounding darkness you can almost discern the endless labyrinths of passages, caved-in galleries and mine shafts. Can it really be possible that all this is the work of mortals, that they spent the whole of their working lives below ground"? “Welcome to the house, Of Carl Larsson and his spouse”! That is the inscription above the main entrance to the home of Carl and Karin Larsson in Sundborn. In 1888, Carl and Karin Larsson were given the cottage 'Lilla Hyttnäs' by Karin´s father Adolf Bergöö. This cottage, a two-storeyed house built in 1837, was later extended in various stages to suit the artist and his family. 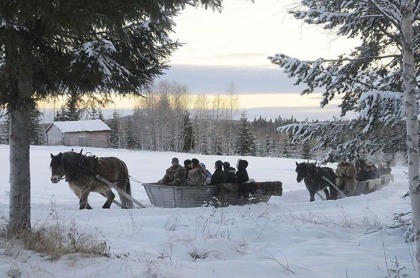 After Carl and Karin Larsson's death, the six surviving children, wished to keep the beloved home of their childhood, so they gave their parts of the inheritance to Carl and Karin Larssons släktförening (The Carl and Karin Larsson Family Association), who administer and preserve 'Lilla Hyttnäs' - nowadays known as Carl Larsson-gården, where everything is kept as it was in the days of Carl and Karin Larsson. Enjoy time for lunch on own and to explore this beautiful city! A beautiful ride through wooded trails. We will make a campfire, have a outdoor light barbecue and a hot drink (ie: hot chocolate) and enjoy the warmth of fire. Optional Sunday service at one of Dalarnas churches. The Choir sings prelude, postlude and after the sermon. Afterwards lunch on your own and then time for transfer to Arlanda Airport.